Advent Calendar Extravaganza with Taheerah Atchia! Did you hear about Taheerah Atchia’s Advent Calander Extravaganza? It is the festive event of tis season. Each day there is hop with special guests with lots of giveaways from fabulous sponsors. Check out Taheerah’s blog for more details. Today is Day #3 and the sponsor for today is Winnie & Walter. As design team of Winnie & Walter, I participated in the hop. 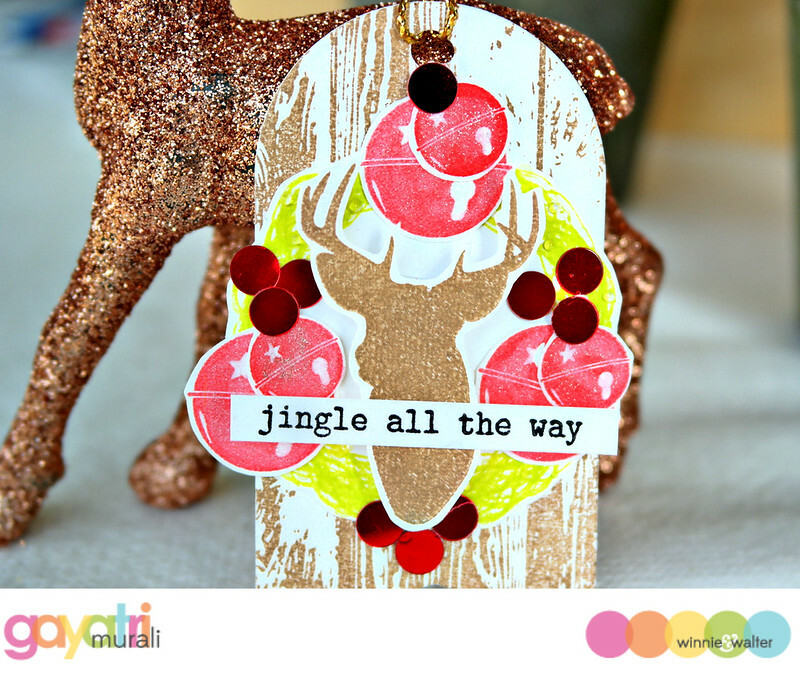 Here is a sneak peek of my Christmas tag. For more inspirations using Winnie & Walter products check out Winnie & Walter Blog. Also check out Taheerah’s blog for her project. Comment to enter a chance to win, More details on her blog. So elegant and beautiful! Love the soft woodgrain look! Very elegant one Gayatri!! Love it! !